On Friday May 25th, the OSU design students will put on their eighth annual runway show. Student collections for Spring will be shown to peers, faculty and family, as well as representatives from Oregon apparel companies. Amanda’s collection featured Pendleton fabrics from Pendleton’s Woolen Mill Store. 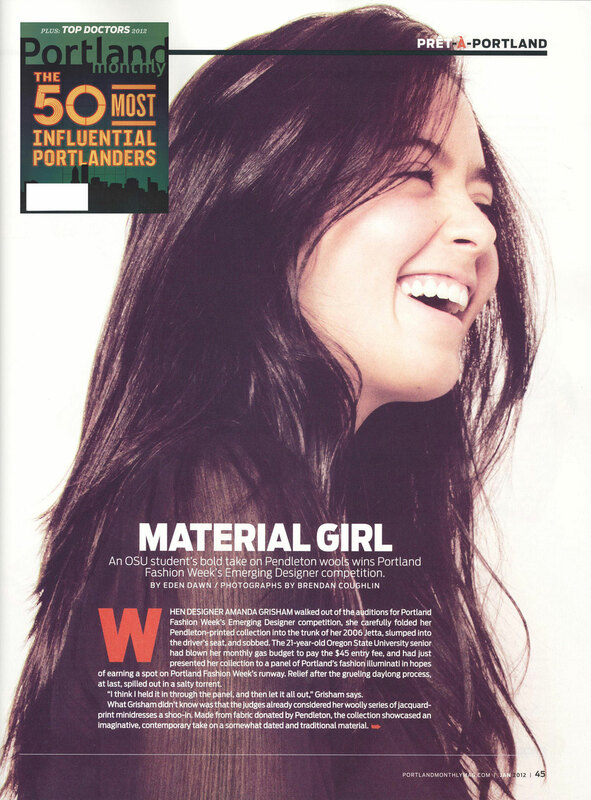 She went on to win Portland Fashion Week’s Catapult: Emerging Designers Competition. On Friday night, all eyes will be watching to see who Oregon’s next rising star might be. You can read more here, but for now, enjoy a look at Amanda’s work from 2011. We are probably just as proud of it as she is.